Every edifice to the arts must have a guiding spirit, a catalyst for its creation. But rarely has one person exerted such a pervasive influence on a museum by taking on such a multiplicity of roles—founder and driving creative spirit, sole benefactor of the entire enterprise, curator of the Collection, designer of custom cycles, sculptures, and furnishings, and supervisor of construction. 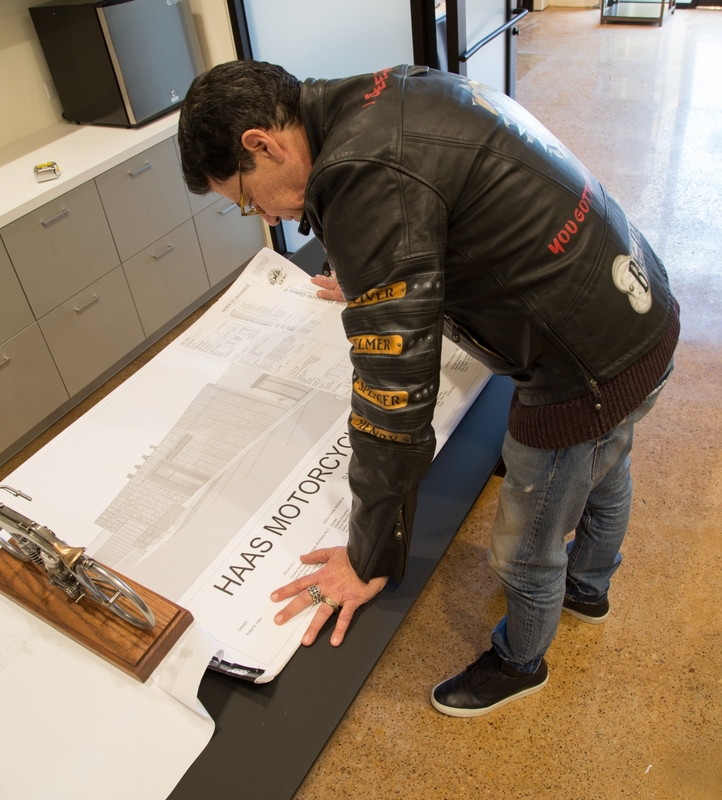 Robert B. Haas (known only as “Bobby”) has his fingerprints in every nook and cranny of The Haas, and his infectious passion for the Museum has inspired every member of the creative and operational team. For Bobby, the kindest compliment of all is to be called a Renaissance man—a person who pushes to expand the limits of success in one enterprise after another, usually with no pedigree in the field and no rightful claim to succeed. Our founder first entered the art world as a novice photographer in his late 40s, soon to become one of the world’s most celebrated aerial photographers and the creator of two of the most widely distributed works in the storied history of National Geographic. And then the siren song of Renaissance beckoned once again. After kick-starting his first motorcycle at the age of 64, only a few years later Bobby set his sights on assembling a collection that would be exhibited in a museum like no other—in his words, pound-for-pound, the most stunning exhibition of motorcycle artistry anywhere. With a Collection that now numbers over 200 cycles curated in less than four years, it is clear that the passion became a dream, and the dream became a mission. That was his mission, and it is his mission still. The Haas is the nuts-and-bolts embodiment of that mission.